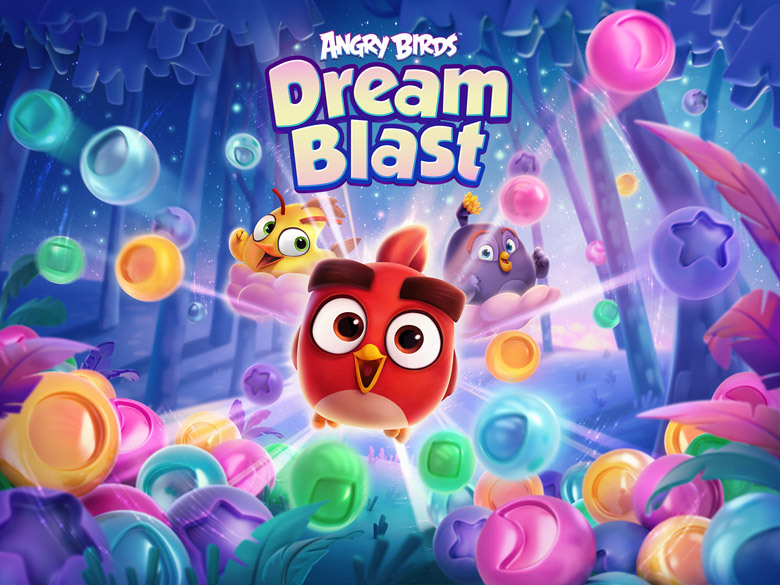 ESPOO, Finland - Jan. 24, 2019 - Rovio Entertainment Corp. today welcomes a new addition to its strong mobile games portfolio with Angry Birds Dream Blast, available to download now from the App Store and Google Play. Today's release follows one of the company's core strategic objectives for 2019 - to grow its Games business by launching at least two new games throughout the year. Angry Birds Dream Blast is a fun and casual tap-to-match puzzle game in which players join young members of the Angry Birds flock and blast Dream Bubbles to overcome a number of different challenges. Angry Birds Dream Blast takes a place among Rovio's other puzzle offerings as the most instantly accessible game in its portfolio, creating a casual experience that players can dive into and play within seconds of opening the game. Angry Birds Dream Blast has been developed in Rovio's Puzzle studio. Following promising performance throughout its soft launch in selected markets, the decision was taken to release Angry Birds Dream Blast globally. "As stated in our quarterly report in November, our goal is to launch at least two games in 2019. As such we're delighted to be kicking off 2019 by adding our most casual game yet, Angry Birds Dream Blast, to our portfolio," says Kati Levoranta, CEO of Rovio Entertainment. "Moving forward, with one other game currently in soft launch and multiple games in different stages of development, we're in a strong position to execute our Games strategy during this special 10th anniversary year for the Angry Birds brand." Angry Birds Dream Blast is out now and free to download worldwide via the App Store and Google Play. Media assets cn be found here. Angry Birds Dream Blast video can be watched here.